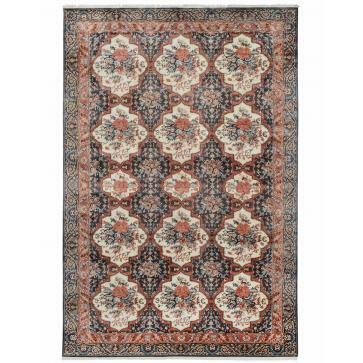 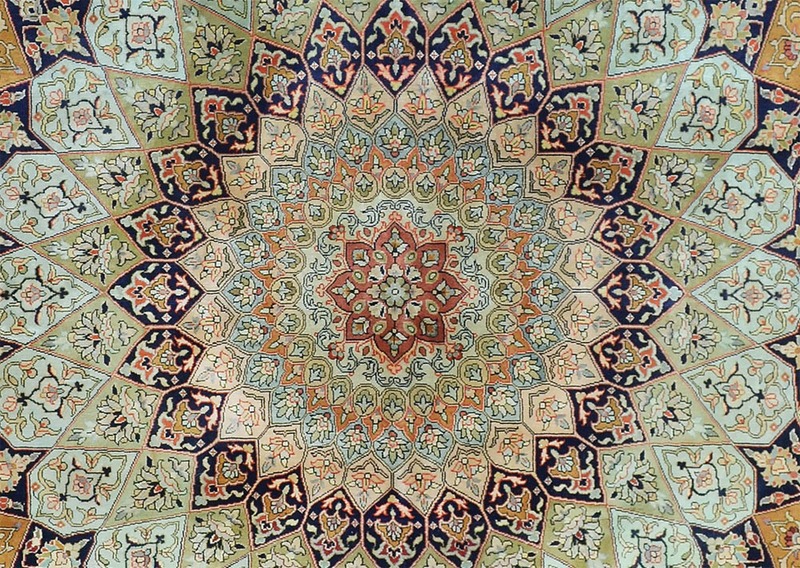 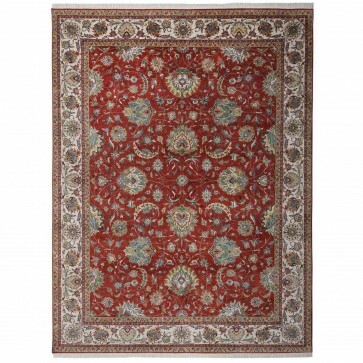 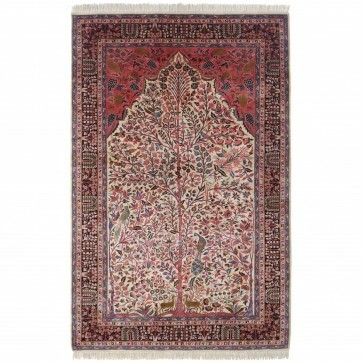 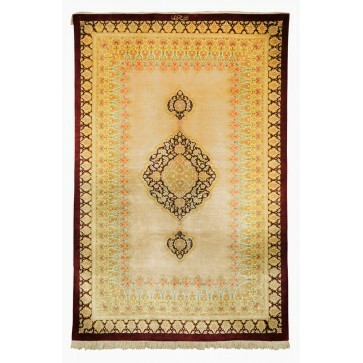 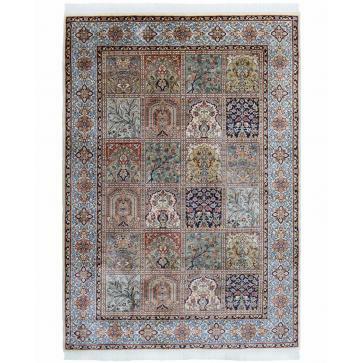 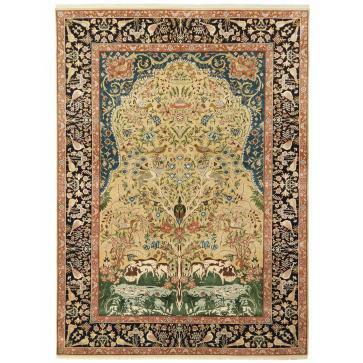 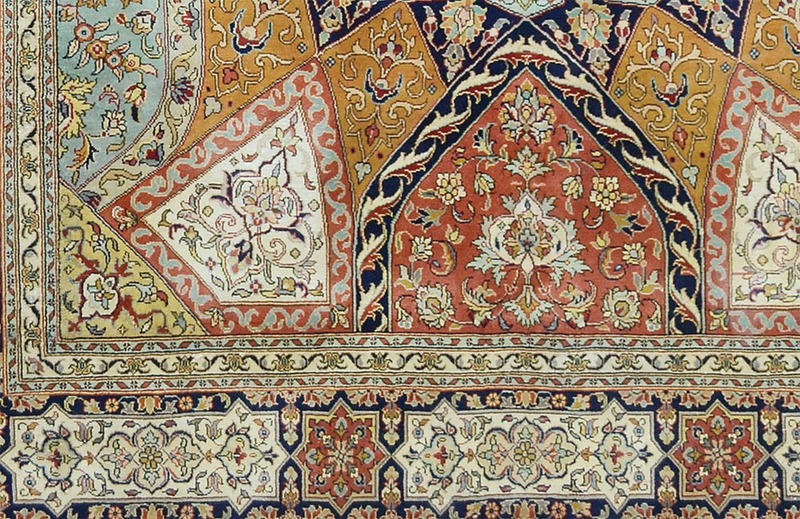 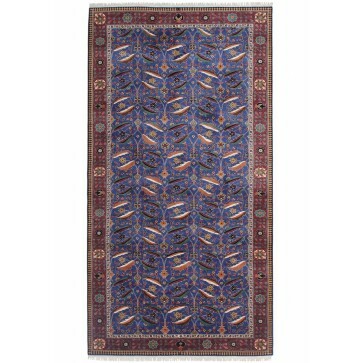 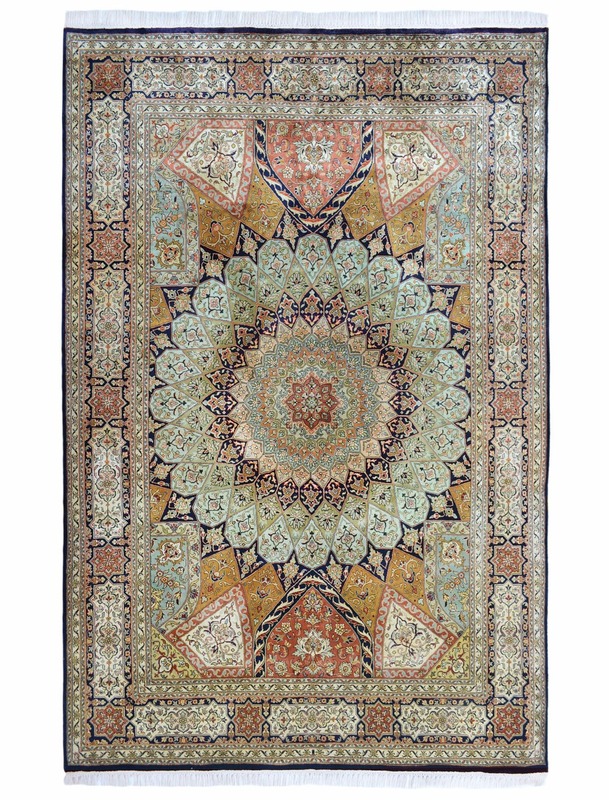 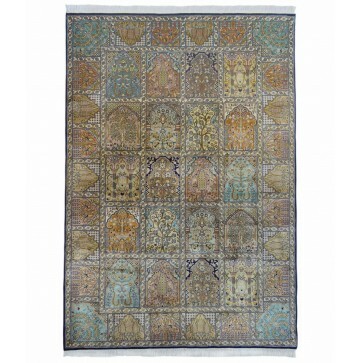 A traditional carpet with pure silk pile hand woven on a cotton warp and weft foundation to 256 knots per square inch. 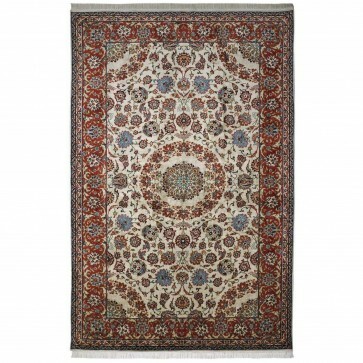 A traditional carpet with pure silk pile hand woven on a cotton warp and weft foundation to 256 knots per square inch. 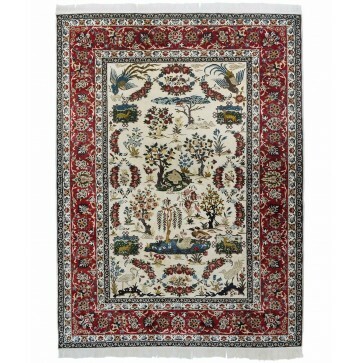 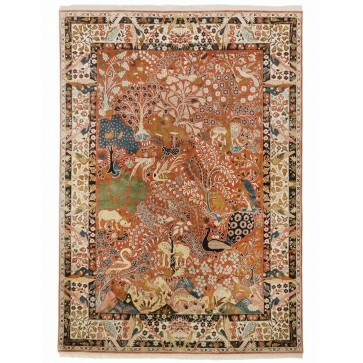 This carpet has been woven in Bhadohi, India by highly skilled weavers in workshops personally visited by the directors of Brights of Nettlebed, Robert and Henry Stamp. 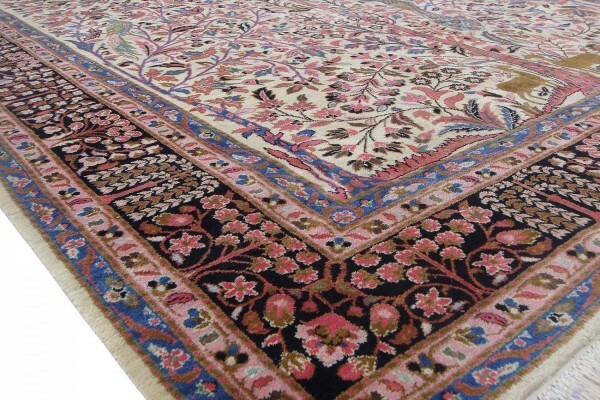 Each square metre takes approximately 40 days for two family members to weave before completeing a thorough finishing process.